Teachers Recruitment Board conducts PGTRB Exam, AEEO Exam, Asst.Professon in Engineering Colleges, and Lecturer in Polytechnic Colleges. TRB is a gateway of so many graduates to getting government jobs. The candidates are very eager to prepare for these exams. Even they failed in their previous attempts; they are waiting for the next chance to attain their goal. The model PGTRB Previous year question papers will help them to prepare in a proper way that means they know the various parts of questioning areas particularly in PGTRB and other Exams, the previous year question papers helps a lot in preparing time. It will discloses the areas of where the most of the questions are asked and guide the candidates to concentrate the important. So the exam preparing candidates must prepare each and every line of the syllabus content thoroughly. Then only they scored high marks and got job. To getting these preparing tips we must go through the previous year question papers definitely. So we will give lot of govt job syllabus. 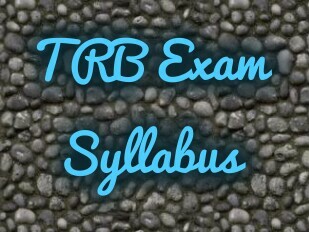 TRB TN Syllabus 2018 is available here. 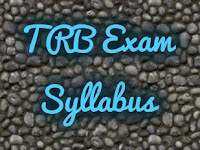 The Tamilnadu TRB Assistant Professor Exam Pattern 2018 is for the written competitive examination for 186 posts. .